So back in the day, when I was a young poor missionary, one of my favorite things when I visited the States was spending hours in bookstores, recharging my batteries (emotional, not literal -- no smartphones back then). Ok, confession time. (Keep in mind I had no money, I had really slow internet and Pinterest had yet to be invented). I would go grab a stack of cookbooks off the bookstore shelves, and peruse through them, and yes, I'll admit it, I actually copied recipes out of them. I had no intention whatsoever of purchasing the cookbooks. I hand-wrote the recipes I liked in little spiral notebooks. Because I had no money to buy cookbooks. I sipped my poor-woman's lattes (I would just order the coffee with a shot of syrup and add my own milk) and happily spent lovely quiet hours in the bookstore, copying recipes and discovering new fiction authors in between. Heaven for an introverted coffee-drinking book-lover. This recipe is from that collection of copied recipes. So, if you know who I stole this recipe from, please let me know and I will gladly give them credit. I would even buy the cookbook now if I could find it. My heart is repentant. Confession concluded. Now make this super-easy yummerlicious recipe and enjoy the fruit of my transgressions. This recipe is really easy enough you don't need a step-by-step. But I'll do it anyway since I love you that much. First cook some noodles. This is spaghettini. Angel hair would work nicely, but alas, I had none. 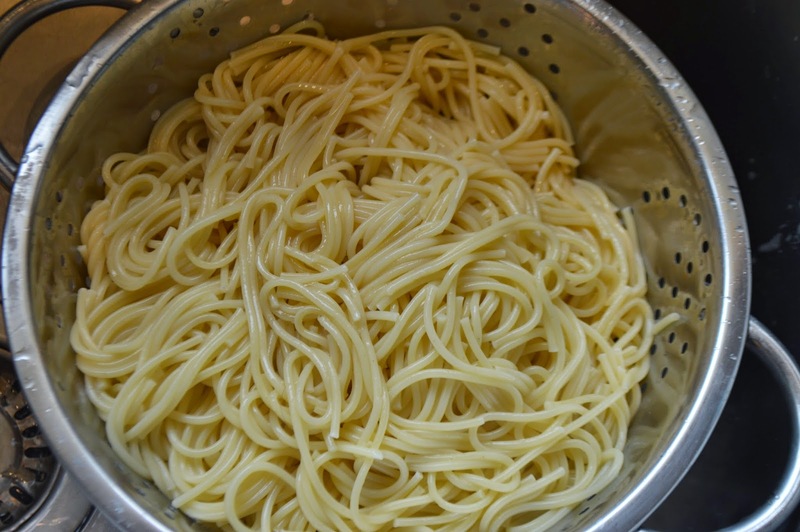 Cook al dente then drain and rinse well in cold water. 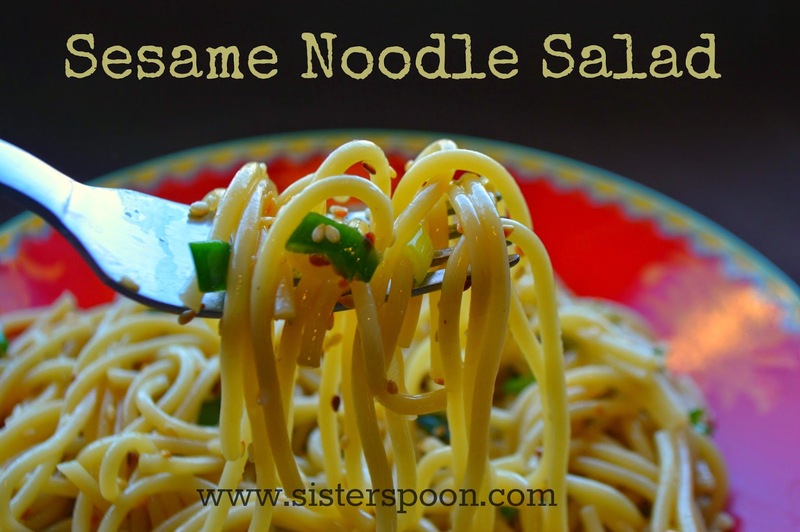 The noodles should be cold for this salad. Now toss the sesame seeds in a dry frying pan and toast them. Watch them pretty closely so they don't burn. 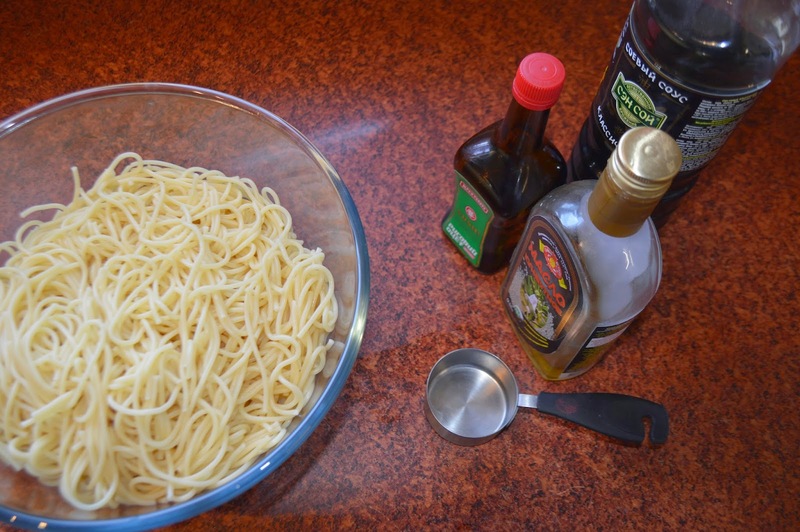 Now add 1/4 cup each of sesame oil, rice vinegar and soy sauce to the noodles. Stir it up. 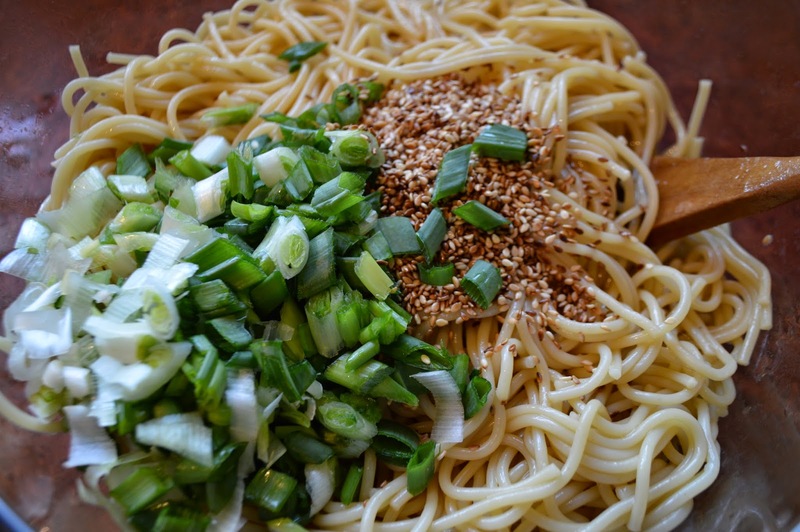 Add the toasted sesame seeds and the green onions. Stir it up and serve or refrigerate for later. This salad is great for picnics or potlucks or just a great side dish. Boil the noodles al dente. Drain and rinse thoroughly in cold water. Noodles should be cold. 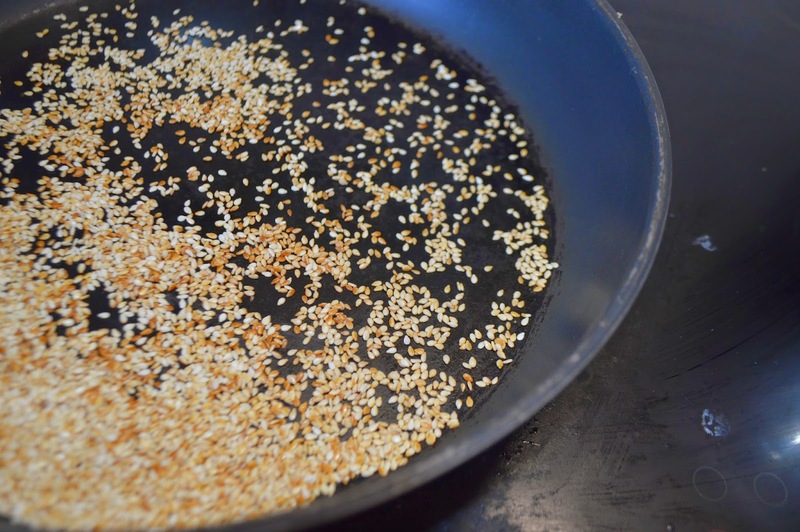 Toast the sesame seeds in a frying pan until golden brown. 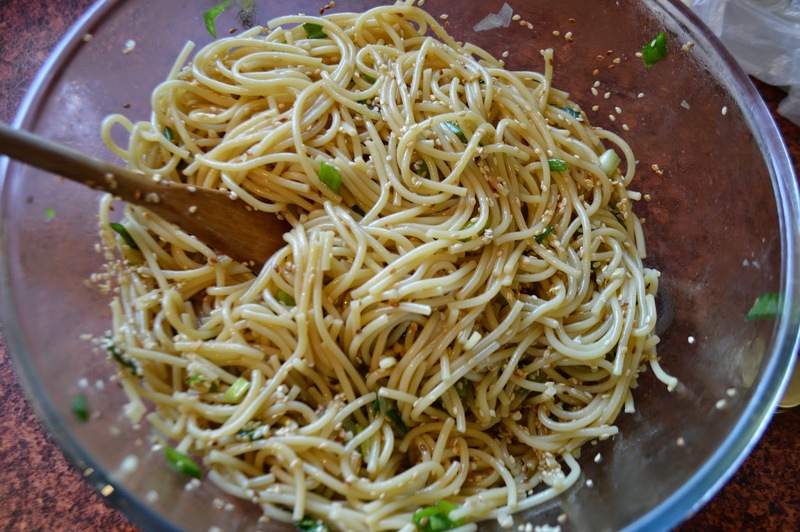 Mix noodles, toasted seeds and remaining ingredients together in a large serving bowl.